Kenes Rakishev is an international businessman, investor and entrepreneur. He was born and raised in Kazakhstan, where he began his business career and served as advisor to the Interior Ministry and the Department of Education. Since October 2004, Rakishev has been Vice President of the Union of Chambers of Commerce and Industry of the Republic of Kazakhstan. In addition to his work in the public sector, Rakishev is also considered one of the most influential businesspeople in Kazakhstan. He holds several senior positions in the private sector, among them: Managing Partner at Singulariteam-1 and Singulariteam-2 venture capital funds, Co-Founder and Chairman of Sirin Labs, and CEO and Chairman of Fincraft Resources.  Kenes Rakishev has business interests in metals & mining, oil & gas, finance, and technology. His tech investments, made privately or through Singulariteam, cover a range of innovative companies, mostly in the fields of augmented reality, virtual reality, artificial intelligence, advanced robotics and blockchain technology. In the mining & metals sector, Kenes leads Fincraft Resources, a diversified metallurgical holdings company headquartered in Kazakhstan, and owns the largest shares in Petropavlovsk, a gold mining company with operations in Russia. Rakishev’s investments in finance and payment processing include Net Element, which specialises in mobile payment and financial transaction services, Standard Insurance, and BTA Bank. In 2002 Kenes Rakishev co-founded the Saby Charitable Foundation together with his wife Aselle Tasmagambetova. By granting education and development opportunities, the Saby Foundation helps young people who are unable to advance independently build a better future for themselves. Rakishev works to advance entrepreneurship in Kazakhstan. He is a member of Atemeken, the Council of National Chamber of Entrepreneurs of the Republic of Kazakhstan, and President of the Council of the Association of Young Entrepreneurs of Kazakhstan. He is also a strong advocate of sports development in Kazakhstan. He is Vice President of the Kazakhstan Boxing Federation and of the National Sports Association of Kazakhstan, as well as President of the Kazakhstan Judo Federation. Through, Fincraft Resources, Kenes sponsors the Kazakh Federation for Professional Boxing, the Kazakh Football Federation, and the Rapid Chess World Championship.